Meditation offers innumerable benefits for your body, mind and spirit. The rest you gain in meditation is deeper than the deepest sleep. 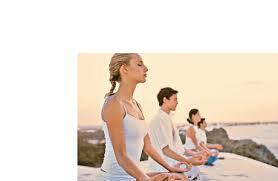 Many successful business people, celebrities and sports professionals practice and enjoy the benefits of meditation. Numerous businesses promote and provide help and assistance to their staff with the benefits of meditation courses and because of this they gain an advantage over their competitors and create more profit.